Taking the cake as the 1996 Cannabis Cup winner, it is no secret that numerous individuals have raved throughout history about the supreme qualities, aromas, tastes, effects and medical benefits of the Flo marijuana strain. Revered by artists for bringing about elevated senses, deeper emotions, and a desire to create, all types of people could benefit from this happiness-inducing strain, along with its complex profile that manages to take opposing qualities and have them all work together effortlessly. Classified officially as a hybrid strain type, Flo is a 60% sativa, 40% indica cannabis strain that maintains an eloquent balance which is favored by marijuana consumers all around the globe. With genetic origins from two brilliant landrace strains, Purple Thai sativa and Afghani indica, it makes sense with parents like these that such a delightful strain type would be produced. 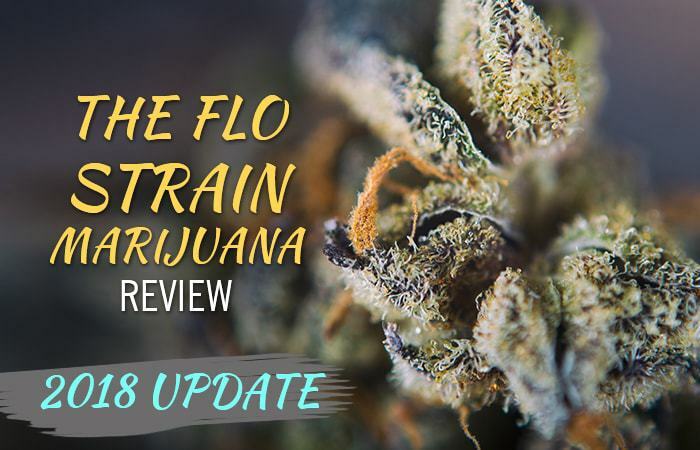 The industry standard usually calls for a high THC content, but this is an area where Flo actually stands out; only possessing an average THC content of14-18%, this cannabis type is not notorious for getting you intensely stoned with just a hit or two.